Sebastian Vettel was untouchable in Suzuka, and was so from an early point of the weekend. But on Saturday afternoon about the only threat to his supremacy of the whole meeting emerged, and it came not from the track but from the stewards' room. Ferrari and Fernando Alonso reckoned that Seb had blocked Alonso at the chicane in the latter's one and only flying lap in the final qualifying session, and estimated they'd lost a tenth of a second or two as a consequence. For some three hours after the qualifying session finished the result was in suspended animation, as all waited to see whether Seb's pole would stand. Eventually the stewards confirmed that yes, Seb had done wrong, but a reprimand was the only punishment. Ferrari to some extent had a point, in that from a still shot I saw of the 'incident’ it appeared to fall under the category of the sort of thing punished these days (Seb looks to be on the racing line under braking for the chicane, with Alonso off it). And while no two blocking cases are the same, it seemed odd that Jean-Eric Vergne got a three-place drop for an offence under the same broad category in the same qualifying hour by the same set of stewards. Though, as Tony Dodgins pointed out, the stewards have been that way all season when dealing with blocking: some offences have got a five-place grid drop, some three, some just a telling off. And Seb's defence seemed rather lame: that he assumed the yellow flag out for Kimi Raikkonen's spin meant that no one would be seeking to improve their times. This I struggle to believe, as we know that that while one is obliged to demonstrate they have slowed down in the yellow flag 'zone' itself, improving your total lap time is OK (as we found out at Silverstone). And Seb's a smart cookie; it seems to stretch credulity that he was ignorant of this rather important and not exactly low-profile distinction. On the other hand, apparently Ferrari claimed in the stewards' room that Alonso could have been on pole without Seb's intervention - a rather absurd overplaying of its hand which was likely counter-productive. Ferrari, according to reports, privately is not happy with all of this, and I don't doubt for a second that the team is nursing its grievance with much care, so it can be used in retaliation at the right moment, which ideally for it will be before the season's end. And perhaps the fact that this spat happened at all is the most instructive part. In other words, do you ever get the impression that the gloves are off now between Red Bull and Ferrari in this championship battle? But in some ways I'm glad that Seb wasn't penalised. Will Buxton's tweets on Saturday after qualifying underlined the problem: 'Formula 1. Where 24 men drive around as fast as they can, and then go into a small room to argue about how they did it...let's just decide the finishing order for the race and be done with it'. It's possibly the one thing that causes most embarrassment to an F1 fan when seeking to defend the sport to the uninitiated. 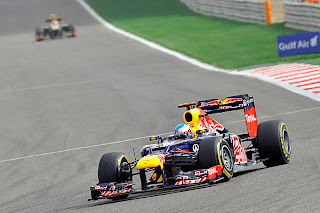 Invariably it seems absurd to those who follow most other sports (or no sports) that in F1 the competitors can do their thing, apparently establish the result, everyone can go off home, only for all to find out some time later that it was an optical illusion as the result was changed post hoc by the banging of the stewards’ gavel. Of course, rules is rules and F1, unusually, is a sport wherein instant punishments cannot be applied as they are in many sports (and sports that are analogous such as horse racing have a similar system to F1 of post hoc 'stewards' inquiries'). But on a topline level it isn't good. I don’t know what a better solution is, but if I was in charge of the FIA I’d gather a few clever brains together and send them off to think about one. The fact that it seems that every qualifying session and race these days much of the field is investigated (and usually punished) for something means that a general step backwards by the stewards and their handing out of sanctions like they are copies of a free lads’ mag outside of a London Underground station would be a good place to start in my view. As would quicker decisions; I cannot understand for all the world why it took three hours for the stewards to make their minds up on Saturday. More specifically, and in fairness to Seb, the 130R to chicane section of the Suzuka track has been causing these sort of problems in qualifying sessions for years. Martin Brundle had a point when he stated in the TV commentary that drivers backing off in that section, such as to create a space ahead for their flying lap, should have been clamped down on long ago. I don't know how the F1 racing gods spent their summer break this year, but something must have happened to put them into a volatile mood. The Japanese Grand Prix continued the trend of every race since the summer stoppage resulting in a championship picture fundamentally different compared with when the race started. Seb won and Nando didn't last beyond the first corner in Japan, meaning that Nando's championship lead, which had been comfortable since mid-summer, has at a stroke been reduced to almost nothing. And worse for him the Red Bull appears to be finally finding its imperious form. A changed picture, as I said. Vettel can, for the moment, be counted as title favourite, but given the way F1 is in 2012 I'd recommend that some caution is exercised before thinking too far ahead. As mentioned the prospects at the moment are changing on a race-by-race basis. In a week's time things could look very different again. And remember that after Valencia many thought the Red Bull was about to run away everywhere, and it didn't quite work out that way. A matter of days ago everyone thought the McLaren was untouchable, but was nowhere in Suzuka. And Felipe Massa's second place in Suzuka shows that, contrary to many claims, there's not an awful lot wrong with the F2012. 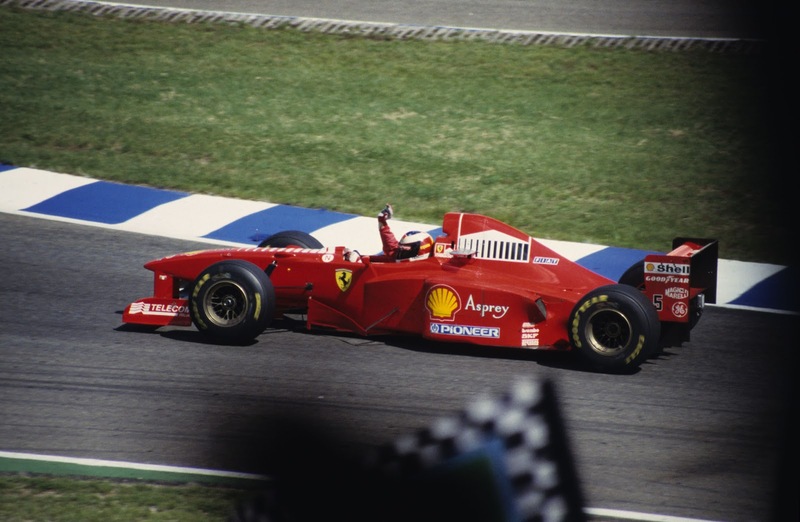 Ferrari also has a bit of a previous when it comes to finding some extra energy right at the end of a championship fight just when everyone's writing it off; that it did in 1997, 2000 and 2003 (though in the last case it did a lot of its fighting off the track rather than on it). 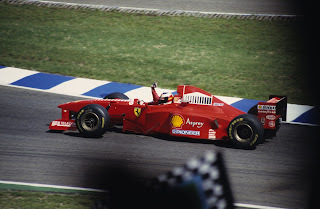 Of course, that was the Todt/Byrne/Brawn et al Ferrari, and the contemporary team is very different. But the challenge that faces the team now is showing that it is a worthy successor. It's noticeable how in F1, as in just about everything, reputations go before you. For a long time I've found Mark Webber's tendency for candour refreshing, especially in a sport where many drivers are either constrained by PR-speak or determined to give away as little information as possible (or both). But the thought has since occurred as to what the fallout might have been if certain other F1 drivers had been the one to say it. Had it been Alonso or Vettel social media would likely have gone into meltdown. And just imagine if it had been Lewis Hamilton... 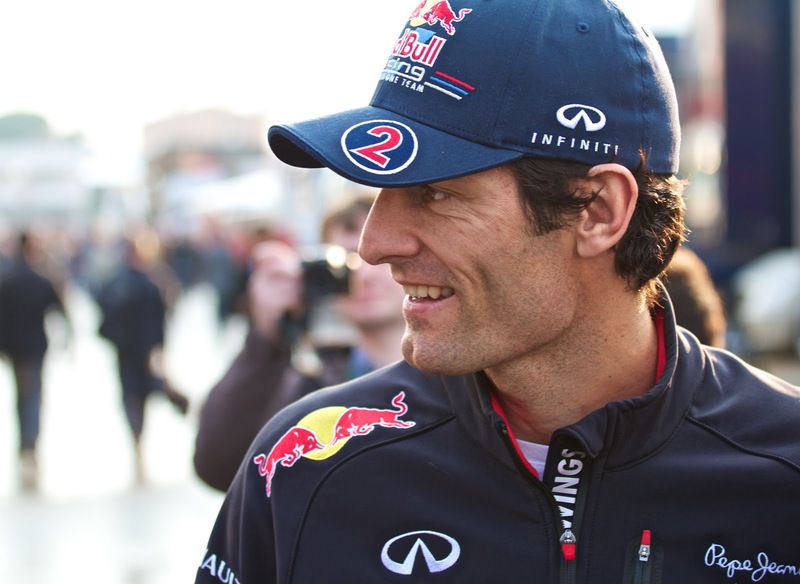 Yet with Webber that broad reaction seemed to be 'good old Webbo'. It's clear that he, for various reasons, has a much deeper reservoir of goodwill to draw on than many of his rivals do. 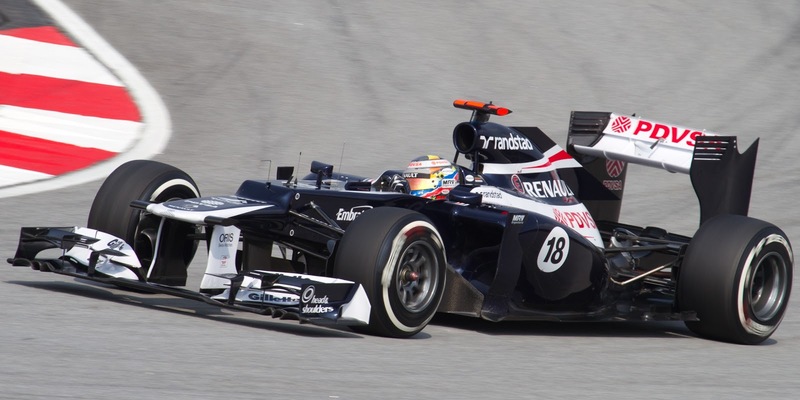 One guy that could do with some more of that is Grosjean; his reservoir seems to be close to dry right now. As has been well-documented he's totalled up eight early-race clashes this year, as well as a race ban for one of them, and the knives were back out for him in Suzuka. But it seems to some extent his reputation goes before him too. While the number 'eight' is banded around a lot, upon review only three at most of his clashes this year (Malaysia, Belgium and of course Japan) were unequivocally his fault. But, an alternative way of looking at it is that the regularity he gets into such clashes suggests it's more than a coincidence. 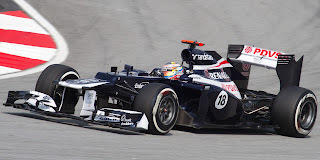 But perhaps if Grosjean wants an example of picking your way out of the rubble then he could look to the example of Pastor Maldonado. A few races ago to say such a thing would have bordered on the surreal, but whisper it, Pastor just might be learning from his misdemeanours. Following on from a run of races wherein he's shown a maddening inability to get to the end without hitting anything, he can now claim to three races in a row in which he's kept his nose clean. All of the prodigious speed seems to be there still (thankfully), but the desperate lunges and clumsiness have recently been shed, replaced by sensible drives where he's let things come to him. As Winston Churchill might have said, it's not the beginning of the end of Pastor's journey, more the end of the beginning. We need a few more of these before we can conclude a corner has been turned. But it cannot be denied that it is tangible steps firmly in the right direction. And it also shows, with a nod to the Grosjean case, that drivers are capable of mending their own ways without needing witch hunts and punitive sanctions.